Paw paw cream is one of those incredibly popular beauty products that you'll find in handbags, desk drawers and bedside tables across the country. But what exactly is it, what can it be used for and what are the benefits of this ointment? 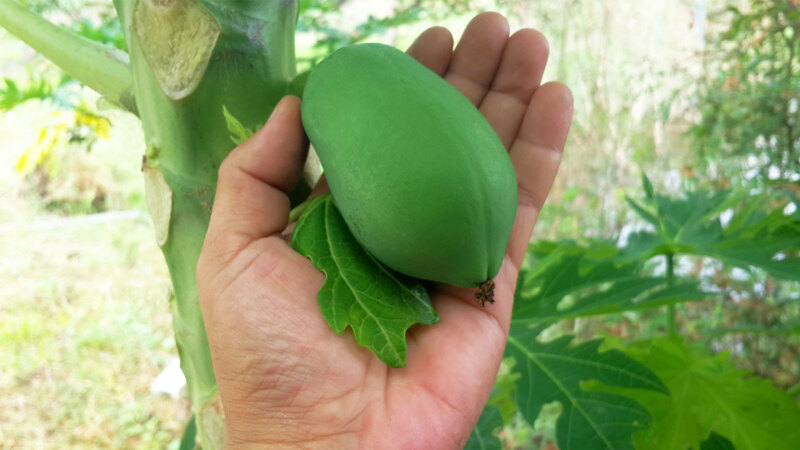 The humble paw paw might not look like much drooping from a tree, but anyone who's nibbled a slice will know how fantastic it tastes — and anyone who's used it as a salve or ointment will know exactly how fantastic it can be for your skin. This nutrient-rich fruit is full of antioxidants, vitamins and minerals, including calcium, magnesium, potassium, iron and vitamins A and C. When eaten, paw paw aids many digestion disorders such as stomach ulcers, burping, gas, diarrhea and constipation. When applied externally, it helps with skin repair, and also smooths and tightens the skin. Chapped lips: Paw paw ointment helps to repair dry or chapped lips and is often used as a long-lasting, natural lip balm. Apply a little on particularly windy days to prevent your lips from getting chapped. Wounds: Paw paw ointment can help heal minor cuts, burns, insect bites, grazes and abrasions, as well as sunburn, heat rash, gravel rash and chafing. Skin woes: This product also offers temporary relief from the symptoms of skin conditions like eczema, dermatitis and fungal infections. Dry skin: It's great to use on particularly rough patches of skin, such as your elbows and knees. Soften hands and feet: Apply it to your feet at night, then pop on some cotton socks and leave overnight for beautifully soft feet in the morning. It's also great for your cuticles, so rub a little on them during a DIY mani or after applying a hand cream. Hair: If your hair is frizzing up from the humidity, rub a tiny amount of paw paw cream between your hands and run over the top of your hair to tame flyaways. Just remember to use it sparingly! Face: Paw paw cream is also great for grooming your eyebrows and adding a a bit of gloss to your eyelids and cheekbones. Babies: Nappy rash, be gone! Paw paw cream is great for soothing sensitive skin and healing rashes. Paw paw products comes in many different forms — as a lotion, cream, salve or ointment and in many different sizes, ranging from small handbag-sized tubes to large family-sized tubs. 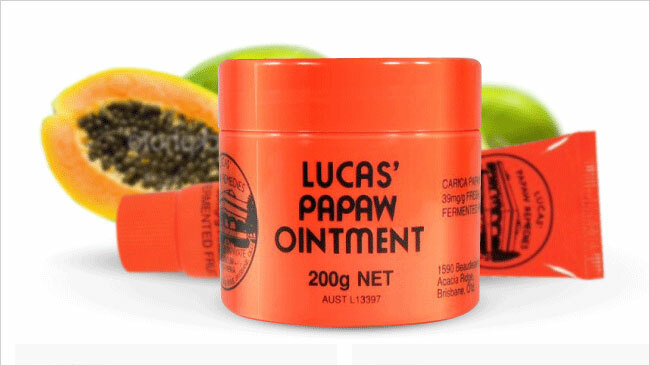 One of the most popular brands in the Australian market is Lucas Papaw Ointment, which was developed by Doctor T.P. Lucas more than 100 years ago. After years of research as a botanist, Dr. Lucas travelled to Queensland and claimed that paw paw was the world's greatest natural healing agent. He opened a hospital, in which most patients were treated solely with his paw paw remedies. His ointment (which is made in Australia from Queensland-grown paw paws) offers antibacterial and antimicrobial properties and can be used as a local topical application. Other paw paw products on the market include Simmons Paw Paw Salve, Phytocare Papaya Ointment, Suvana Paw Paw Lip Balm, Coco Island Paw Paw Ointment and the OnlyPapaya range. Disclaimer: The medical notes above are general in nature — always read the label of your specific product and use only as directed. If symptoms persist, see your doctor or healthcare professional.